About 150 Afghan schoolgirls have been poisoned at a high school in the country's north after drinking contaminated water. Officials suspect conservative radicals, who oppose female education. ­"We are 100 per cent sure that the water they drank inside their classes was poisoned. This is either the work of those who are against girls' education or irresponsible armed individuals," Reuters quoted Jan Mohammad Nabizada, a spokesman for education department in northern Takhar province. The girls suffered from headaches and vomiting. 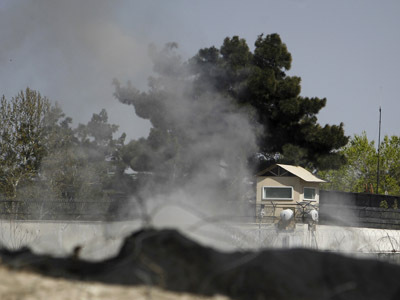 Some were in critical condition, while others were sent home after treatment in hospital. "This is not a natural illness. It's an intentional act to poison schoolgirls," said Haffizullah Safi, head of Takhar's public health department. Since the Taliban was toppled in 2001 females have returned to schools, especially in the country’s capital, Kabul. However, attacks on female schools still occur, especially in the more conservative south and east of the country. But the movement has never confirmed this officially. 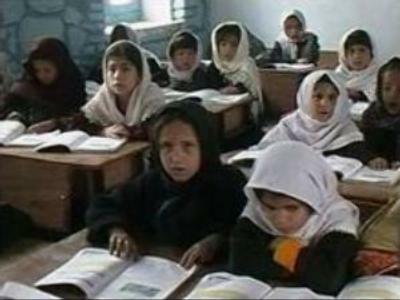 Education for women was outlawed by Taliban between 1996 and 2001. 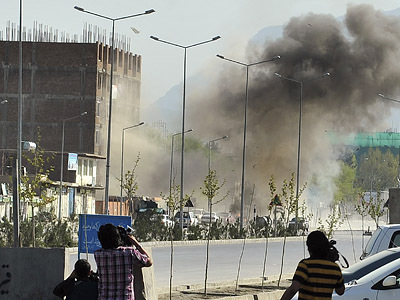 The Afghan Education Ministry report for 2006 shows that about 20 teachers were killed and more than a 100 schools set on fire in different parts of Afghanistan.